Admit it, even the rough ones are pretty cute. Take the Museum of Natural History, for example. They just received a donation of 500 carats' worth of rough diamonds from Jewelers Mutual Insurance Co. of Neenah, Wis. However, the diamonds are rough -- not cut purdy like the ones that begin all kisses (at least according to the fine folks behind that perennial Kay's jingle). 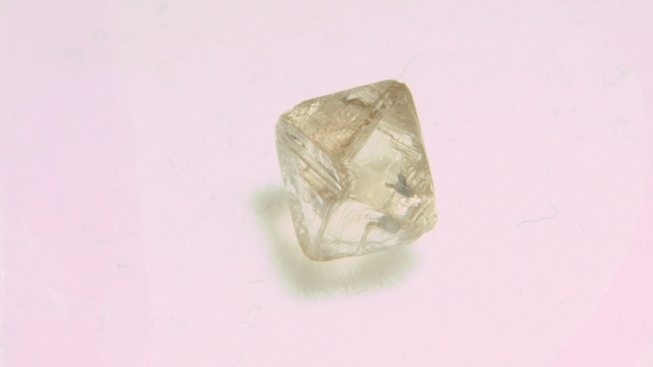 "It's very rare to know where some rough diamonds came from because typically, once they come out of the mine, they go to market and are sold," says Jeffry Post, curator in the Department of Mineral Sciences. "In most cases, diamonds lose any documentary links to their source by the time they reach the market." This donation will be a great asset to researchers, allowing them to study specimens and knowing where they originated in the Earth. You will have a chance to see some of them, though -- the larger diamonds will be added to the museum's diamond exhibit.